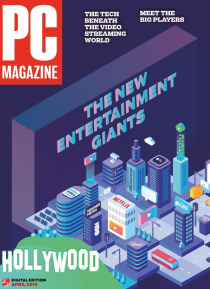 PC Magazine provides lab-tested reviews, detailed tips and how-tos, insightful feature stories, expert commentary, and the latest tech trends to help you at work, at home, and on the road. And for a limited time, we're offering a copy of Breakout: How Atari 8-Bit Computers Defined a Generation with new subscriptions. This brand-new book is all about what made Atari's computers great: excellent gra… phics and sound, flexible programming environment, and wide support.